主要职责 Main Responsibilities? 确保向所有入住酒店的客人提供优质服务，给所有的客人留下美好的印象。To ensure that assistance is being provided at all times to all customers and guests and their stays at hotel are comfortable and memorable.? 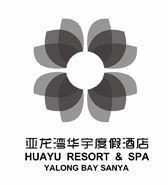 对饭店的客户和客人提供礼貌专业的服务。Provides courteous and professional services to both guests and customers of the Hotel.? 确保工作区域内的所有设备处于良好工作状态。Ensures that all equipment within the section is properly maintained and in good working order at all times.? 为所有的客人和客户提供礼貌周到的信息服务。Provides general information to guests in a good and helpful manner.? 处理或者解决客人的投诉，并且同饭店的客人建立良好的关系。Handles or resolves any guest complaints and establishes good relationships with guests and clients of the hotel.